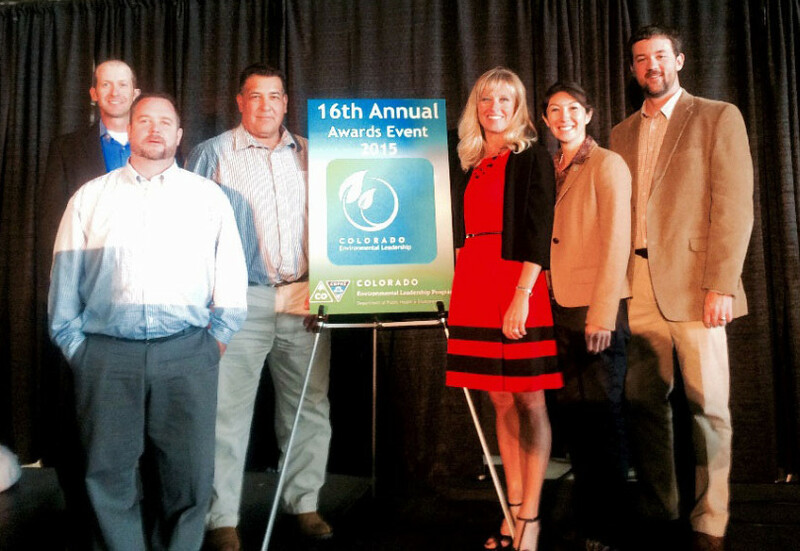 The Environmental Leadership Program, administered by the Colorado Department of Public Health and Environmental, is a voluntary program that recognizes organizations that go beyond compliance with environmental regulations and strive toward a goal of sustainability. Members work through three levels of partnership: Bronze, Silver and Gold. Including the new crop of 12 Gold Leaders, seven Silver Partners and 29 Bronze achievers, program membership stands at 160 organizations, representing a variety of sectors from manufacturers to agriculture to schools and service providers. New and existing members were recognized at the programs annual awards event October 16 at Wings Over the Rockies Air and Space Museum. Mountain Prairie Farms, a CLA member, is a modern, state of the art farrow to wean sow farm located in Las Animas, Colorado. To meet the silver partner status Mountain Prairie recycled over 570,000,000 gallons of water, and using spent swamp cooler pads as a supplemental carbon source for composting, which reduced landfill waste.